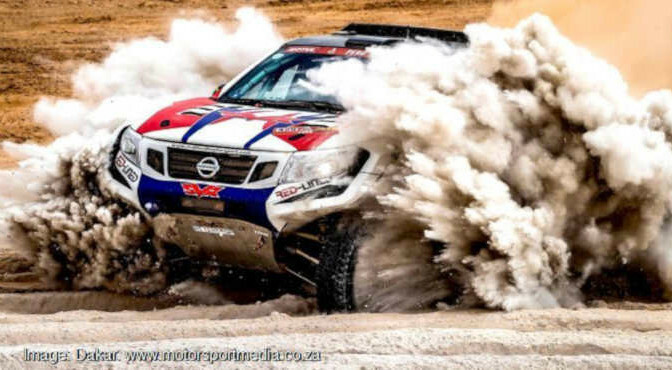 South African crew Shameer Variawa and Zaheer Bodhanya overcame another challenging day to conquer Dakar’s mightiest challenges on Wednesday. The SVR Red Lined Nissan Navara rookies were last into the no service marathon Bivouac at Moquwgua in southern Peru on Thursday evening with more than 25 of the 83 car crews that started the day still unaccounted for behind them at the time of writing. Variawa and Bodhanya came home 60th overall and 21st in the T1 class after a tough day in the office and now sit 21st in the petrol all-wheel drive all-terrain class and 55th overall. “That’s Stage 4 done and dusted and we mean dusted!” Shameer explained on arriving at the no-service assistance bivouac Thursday evening. “If you ever wondered what they meant when they talked about the fine sand otherwise known as ‘fesh fesh’, you will never know until you actually experience it! The second day of the marathon stage, Dakar Day 5 Friday’s 345km stage heads back to Arequipa for that much anticipated rest day where the SVR Red Lined crew will have the chance to recharge their batteries and prepare for the second half of the Dakar 2019 starting Sunday morning.